Over the last fifteen years, young people in our country has been earning a lot. Very new industries and innovative technologies have helped the youth use their talent and energy for creating businesses that never existed in India. Emergence of youth as the leaders of certain industries has created a large number of young investors. Probably you are one of them. 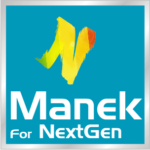 Manek For NextGen is an investment approach to help people in the age group of 20 – 35 years to build wealth aggressively and yet predictably. The whole purpose is to handhold you in this life phase of relatively less family responsibilities to build wealth quickly. Many youngsters plan to start a business of their own after getting the required work experience. Investing in a scientific way is the only way to build the capital that will give you the freedom of pursuing your bigger dreams. You really need to see it yourself how we do it. Please engage with us. We can help you become wealthy faster than you may think. Use our methods and disciplines while investing. Are you 20 - 35 years old? Call us.